Taylor, John Leonard. "Indigenous Peoples and Government Policy in Canada". The Canadian Encyclopedia, 17 January 2018, Historica Canada. https://www.thecanadianencyclopedia.ca/en/article/aboriginal-people-government-policy. Accessed 20 April 2019. On 26 June 2014, the Supreme Court of Canada issued an unprecedented decision granting the first declaration of Aboriginal title in Canadian history. For most of the history of political interaction between Aboriginal people and the Canadian government (and its colonial predecessors) government policy has meant “Indian policy.” This focus on First Nations meant the Inuit were barely acknowledged until the 1940s, while special responsibility for Métis and Non-Status Indians was largely denied until 2016. The early history of Aboriginal policy in Canada is characterized by the presence of both France and Britain as colonizing powers. British colonial policy acknowledged Aboriginal peoples as sovereign nations. Post-Confederation Canadian Aboriginal policy, until the 1960s, was based on a model of assimilation, with one of its main instruments being the Indian Act. Since the late 1960s, government policy has gradually shifted to a goal of self-determination for Aboriginal peoples, to be achieved through modern-day treaties and self-government agreements. European states claimed lands around the world by right of "discovery," and declared Indigenous people living there to be subject to the colonizing power. However, the Europeans who first came to North America depended on the more numerous and better-adapted Aboriginal people for survival, which led to trading and military alliances. During the period of alliances, which lasted until the early 19th century, Aboriginal policy was diplomatic and military in orientation because Aboriginal peoples constituted sovereign and independent nations. French contact with Aboriginal peoples involved trade, war and missionary work. Official French policy had two objectives: to evangelize Aboriginal peoples; and to assimilate them into French society. Although a few Aboriginal groups settled on church-controlled agricultural reserves near the French, the vast majority continued to live apart as independent nations. By the 1690s, the failure of large-scale assimilation of Aboriginal people was accepted even by missionaries and government officials. Fur traders had always discouraged it as being bad for trade. Since the French settlements did not expand extensively into Aboriginal territory and displace the inhabitants, the French never recognized formally that Aboriginal peoples had rights in the land, and no land cession treaties were ever made. The more populous English colonies, however, expanded toward the West. Although some of them made treaties with the Aboriginal peoples they displaced, English colonists posed a constant threat to neighbouring communities. Conflicting alliances between Aboriginal groups and Europeans dated from the early 17th century when Samuel de Champlain built an alliance with the Wendat and hence alienated the Wendat’s enemies, the Haudenosaunee. Throughout the next two centuries, the French and British each attracted Aboriginal allies in their competition for trade, land and empire in North America. With the collapse of French imperial power after the Seven Years' War (1756–63), France's former Aboriginal allies faced the threat of unobstructed British expansion. Resistance was expressed in a series of risings associated with the Odawa chief, Pontiac. The imperial authorities responded by assuring Aboriginal peoples, through the Royal Proclamation of 1763, that they would not be disturbed in their territories beyond the settled colonies. Land could only be surrendered to the Crown and at a general assembly of Aboriginal peoples. This principle formed the basis of the later treaty system. Within 20 years, the American Revolution revived alliances as First Nations strove to protect their territory from American expansion. Britain willingly used their assistance in its own diplomatic and military endeavours to protect its Canadian conquests. Aboriginal support proved valuable to the British in the War of 1812. This twilight of the alliance period overlapped with the beginning of the second stage of Aboriginal policy extending through Confederation to the mid-20th century. Its characteristic features were the imposition by European governments of treaties, reserves and paternalistic social policies, all intended to promote Aboriginal assimilation to the general population. As land was needed for settlement in Upper Canada, treaties were made to "extinguish" Aboriginal rights to the soil according to the principles of the Royal Proclamation of 1763. By contrast, land-cession treaties were not made in the older colonies of the Maritimes or in Québec even when new areas were opened to settlement. As the non-Aboriginal population increased, Aboriginal peoples — mostly First Nations — ceased to be treated as independent nations and were settled on reserves. There, Aboriginal bands were organized under the supervision of Indian Department superintendents or agents. No longer military diplomats, but local managers of reserve land and band affairs, they encouraged Aboriginal people to farm, become self-supporting by non-traditional means and generally live like the surrounding population. Schools and churches were usually provided. These activities were organized by a civilian Indian Department — the precursor to Indigenous and Northern Affairs Canada (INAC) — which replaced the military authority in 1830. The establishment of common property in reserves and band funds, special legislation and treaty rights led to the development of the legal concept of status. Some persons of Aboriginal ancestry — Métis and Non-Status Indians — never qualified for status or lost it in a variety of ways. In April 2016, however, the Supreme Court ruled unanimously that the legal definition of “Indian” include Métis and Non-Status Indians.The ultimate goal of Aboriginal policy in most of the post-Confederation period was to eliminate all status by assimilation and enfranchisement. This legal process has never been popular with Aboriginal people and has failed in its overall objective. After Confederation, administrative responsibility for Aboriginal people was allocated to the central government in Ottawa. This did not affect the general direction of Aboriginal policy, which remained largely unchanged until at least the mid-20th century. As the Dominion of Canada prepared for the settlement and development of new territories, the treaty system continued to be used as an expansionist arm of Aboriginal policy. The later 19th century and early 20th century treaties, like their earlier counterparts, purported to extinguish Aboriginal rights to a prescribed territory. They provided, in return, land reserves and a modest contribution of cash, goods and services to the people subject to the treaty. Treaty Indians (whose ancestors adhered to one of Canada’s eleven Numbered Treaties today claim that the terms of the treaties were meant to be interpreted liberally. For example, provision for a school is seen as a promise of education from the primary through to the post-secondary level. In addition to disagreements over interpretation, the treaties have given rise to specific claims alleging failure to fulfill treaty terms or claiming maladministration of treaty or Indian Act provisions, particularly with respect to the surrender and sale of reserve land. Claims are first reviewed by a department of INAC and, if they are rejected for negotiation, they can proceed to the Specific Claims Tribunal of Canada, which was formed in 2009 as an independent judicial body with the authority to make final, and binding, settlement decisions. With some exceptions, Métis and others who did not acquire or retain Indian status were not included in the treaties or in the bands created by the Indian Act. The Métis were, however, given grants of land or scrip in Manitoba under the Manitoba Act of 1870 to extinguish their Aboriginal title to the soil. This practice was later extended to other parts of western and northern Canada in a process outside of treaty making but, from 1899 onward, often parallel to it. Where the land was not yet wanted for settlement or development, Aboriginal peoples were left without treaties. This practice has given rise in more recent times to large comprehensive land claims in northern Canada. The Alaska Native Claims Settlement Act of 1971 became an American forerunner for the modern comprehensive land claim settlements in Canada. It provided many more land rights than the earlier treaties, and far more generous cash and resource settlements. The first of these large comprehensive agreements was the James Bay and Northern Québec Agreement of 1975 in Québec. It was precipitated by a plan to build hydroelectric dams in northern Québec. This settlement has been followed by others, covering territory in the Northwest Territories and Yukon and also in non-treaty area within the provinces. Notable among these settlements has been the Nunavut Land Claims Agreement (1993), which led to the creation of the territory of Nunavut, and the Labrador Inuit Land Claims Agreement (2005), which established the Government of Nunatsiavut within Labrador and Newfoundland. While the federal government made treaties in the 19th century on the prairies where it controlled the land, it could not do so unilaterally in British Columbia, where Crown lands were under provincial control. For the most part in British Columbia, Aboriginal rights awaited recognition and settlement until the end of the 20th century. In 1992, a tripartite treaty commission began work toward the negotiation of treaties in BC. The Nisga'a Final Agreement Act in 2000 became the first modern-day treaty in that province. The Nisga'a treaty gave the First Nation the right to self-government within 2,019 km2 of their traditional lands in the Nass River Valley. Other BC First Nations continue to negotiate their claims, with agreements finalized with the Tsawwassen First Nation and the Maa-nulth First Nations in 2009 and 2011, respectively. As well, on 26 June 2014, the Supreme Court of Canada, in Tsilhqot’in Nation v. British Columbia, recognized that First Nation’s title and authority over 1,750 km2 of their traditional territory in the BC interior. 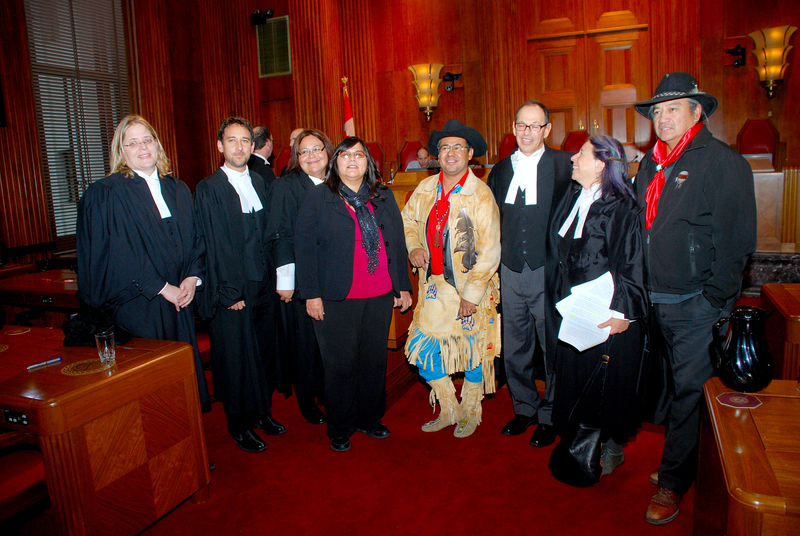 In taking an expansive view of Aboriginal title, the Supreme Court is charting a new course relative to future resource development and the process of consulting with Aboriginal groups in areas of Canada that have not been ceded by historic treaties. The administrative arm of Aboriginal policy continued with little change after Confederation. The Indian Department became a federal office in 1868 and has continued under various titles until the present day. Legislation governing First Nations people was consolidated into the Indian Act in 1876. The diversity among Aboriginal people and the regions of Canada, combined with the differences in historical experience, however, led to variations in regional administration. In the more settled regions, administration was linked by the common goals of interim protection and ultimate assimilation. In the interests of economy, and prior to Euro-Canadian development of their lands, Aboriginal peoples in the remoter regions were neglected. 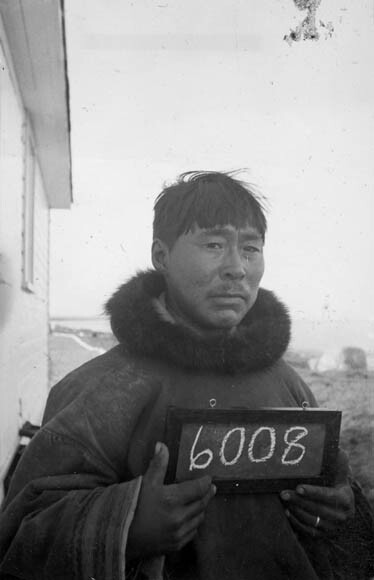 A 1939 court decision ruled that Inuit were a federal responsibility, but they have not been subject to the Indian Act. Separate programs of economic development and services were applied to them, especially since the 1950s as development increasingly invaded their homeland and disrupted their way of life. In recent decades, these northern people have participated in modern comprehensive land claims, specifically the Inuvialuit Agreement in the western Arctic (1984) and Nunavut in the east, which give them political powers as well as land and economic benefits. Prior to the Second World War, Aboriginal policy was made by government without consulting Aboriginal people and with little public attention. By the 1940s, this began to change. Aboriginal people became more politically active and more vocal about their marginal position in society and lack of self-determination. Public opinion became more informed and disturbed about Aboriginal poverty and marginality. Policy reflected this changing situation through new and expanded programs. The government sought to promote economic development and to provide equality of services to Aboriginal people, particularly through agreements with the provinces. The Indian Act was revised in 1951, but the quickened pace of change soon required a further revision. Consultation meetings (1968–69) with Aboriginal representatives created the expectation of participating in the proposed revision. Aboriginal peoples made it clear that they wanted their rights honoured, and their land and treaty claims settled before Indian Act revision. Expectations were dashed with the release of the government's policy proposals (the White Paper) in June 1969, which seemed to ignore all of their stated priorities. The proposals suggested a phased abolition of the Indian Department and of the Indian Act within five years, eliminating Indian status. The importance of treaties and Aboriginal claims was downplayed. The Aboriginal response to the proposed government policy was hostile and sustained. A comprehensive network of Aboriginal political organizations was formed and made counterproposals on a wide range of claims. The government, facing an awakened public conscience, retreated from its proposals and provided funding to support Aboriginal efforts to clarify their demands. Since the White Paper, Aboriginal political activity has greatly increased awareness of problems and goals among the general public and the Aboriginal population itself. Most Aboriginal political organizations with whom governments deal obtain their support and validity from a strong community base. An experienced leadership has emerged capable of meeting the government's stated willingness to negotiate issues. Included largely as a result of political activism, section 35 of the Constitution Act of 1982 affirms existing Aboriginal and treaty rights and defines "Aboriginal peoples of Canada" as Indians (or First Nations people), Inuit and Métis. However, the meaning of the section remains largely undefined and is a matter of controversy among first ministers and Aboriginal leaders. Amendments to the Indian Act in 1985 abolished the concept of enfranchisement, a key policy goal for over a century and a half. They also restored Indian status and band membership rights to those who had lost them because of inheritance exclusively through male descent or through enfranchisement. These amendments had the additional effect of allowing bands to control their own membership based on their own membership rules. Self-administration has had a place in Aboriginal affairs, particularly since the 1960s when aspects of band governance, including the administration of some federally funded programs, began to be taken over by First Nations. Dissatisfaction remained, however, with these delegated powers. In response to this dissatisfaction, the House of Commons Special Committee on Indian Self-Government (the Penner Committee) released a report in 1983 recommending that Aboriginal communities be given the opportunity to work out new forms of government to replace the present limited structures under the Indian Act. Recognizing that First Nations were self-governing before the period of dependency and paternalism, the report recommended the establishment of Aboriginal governments as another order of government separate from the federal and provincial. Self-government agreements are negotiated on the basis of the inherent right of First Nations to self-governance as declared in the Constitution Act of 1982. These negotiations, involving Canada, provincial and territorial governments and individual First Nations, Inuit communities and Métis settlements, aim to reach individual self-government agreements within the Canadian Constitution. Government administration under the Indian Act and the treaties continues at a reduced level while First Nations' involvement in programs increases. The fronts on which First Nations are attempting to advance are the settlement of comprehensive and specific claims, treaty making in BC, and the achievement of self-government agreements with those First Nations wanting them (see, e.g., Nisga'a and Nunavut). As of January 2015, the federal government has settled 26 comprehensive land claims (many with some provision of self-government) and signed three self-government agreements. The Sioux Valley Dakota Nation Governance Agreement, which took effect in July 2014, made that First Nation the 34th self-governing Aboriginal group in Canada and the first in the Prairies. At that time (2014), there were approximately 100 comprehensive land claim and self-government negotiation tables around Canada. 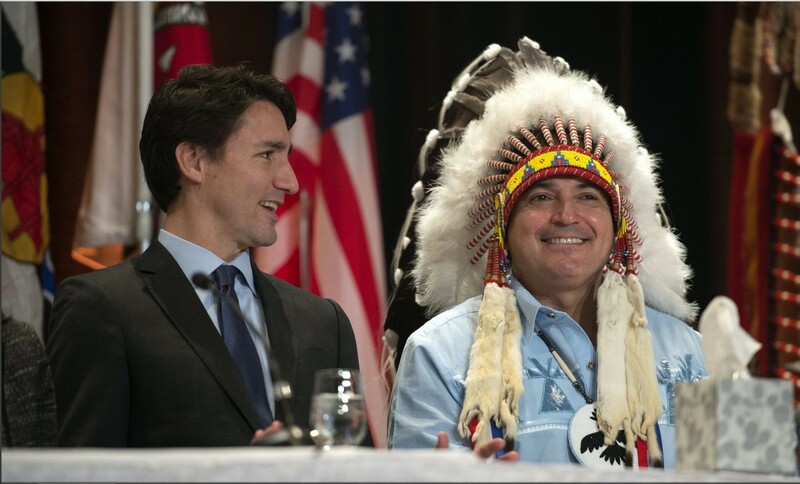 The agreements reached may ultimately replace the Indian Act as the chief instrument governing the relationship between First Nations and government without altering the special relationship between Aboriginal peoples and the Crown or abrogating existing Aboriginal, treaty, or constitutional rights. Aboriginal Affairs and Northern Development CanadaThe official website of Canada's Department of Aboriginal Affairs and Northern Development Canada, which is responsible for meeting the Government of Canada's obligations and commitments to First Nations, Inuit and Métis.